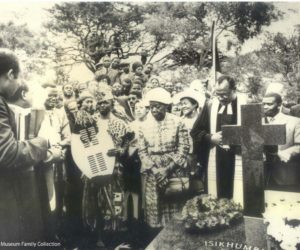 The Luthuli Museum was officially opened on 21 August, 2004. 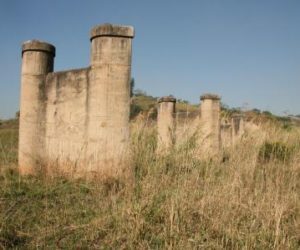 It includes the original 1927 home of Chief Albert Luthuli that is situated on 3233 Nokukhanya Luthuli Street, Groutville, KwaDukuza. Today the home is a national monument. Set in lovely landscaped gardens, the grounds provide the ideal setting in which to absorb the history and achievements of a man who became the first African to receive the Nobel Prize for Peace. He was a leader ahead of his time whose commitment to non-violence, non-racialism, democracy and human rights has left an enduring legacy. On the site in Nokukhanya Luthuli Street is the modern Interpretative Centre that houses temporary exhibitions, where visitors gather to mark openings, school children and learners participate in workshops or perhaps members of the public view our offerings. From tourists to learners, the Luthuli Museum staff are ready to welcome all visitors to the legacy of Chief Albert Luthuli. Admission is free.